The International Trumpet Guild Journal is proud to announce that Mark McKee, a senior at Maryville High School in Maryville, Tennessee, is our Young Artist Award recipient for October. Stewart Cox, Mark’s teacher and a freelance performer and respected Knoxville educator, and Cathy Leach, professor of trumpet at the University of Tennessee in Knoxville, nominated him for the award. Mark started on trumpet at the age of ten, and admits he was a bit let down when his dad pulled out a less-than-shiny trumpet from a case in the closet for him to take to band. However, the “Wow!” his band director exclaimed after looking over his Bach Stradivarius helped Mark to realize just how special his dad’s gift was. Mark has participated in numerous regional band clinics and seminars, and was a scholarship camper at the Blue Lake Fine Arts Camp and the Jamey Aebersold Jazz Camp (2004 and 2005). In summer 2006, he attended the Governor’s School for the Arts. Later that school year, as a sophomore, he won a chair in the Tennessee All-State Band. In addition to his activities in music, Mark is a member of the National Honor Society and volunteers at the Habitat for Humanity Home Store. He also loves to hike and mountain bike. 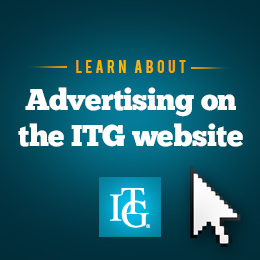 Mark will receive a one-year complimentary ITG membership. Congratulations!